Dan Miller, President of 48 Days, specializes in creative thinking for increased personal and business success. He believes the most effective life plans are achieved by integrating natural gifts, unique personality traits, and one's own values and passions. Dan is active in helping individuals redirect careers, evaluate new income sources, and achieve balanced living. He believes that a clear sense of direction can help us become all that God designed us to be. 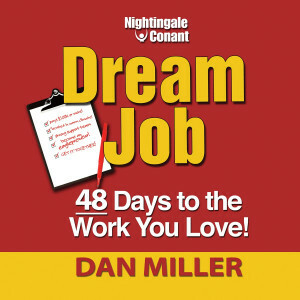 Dan is the author of the widely acclaimed 48 Days to the Work You Love and No More Mondays. He writes regularly for many popular magazines and web portals, including CBN.com, Crosswalk.com, New Man, and Success magazine. He has been a guest on CBS's The Early Show, MSNBC's Hardball with Chris Mathews, 700 Club's Living the Life, and the Dave Ramsey Show ' to hit some highlights. Dan is also a frequent speaker and guest on popular radio programs like Moody Broadcasting, Crown Financial, Janet Parshall's America, American Family Radio, and Prime Time Chicago. Committed to personal priorities, Dan and wife Joanne have been happily married for more than 40 years. Each of their three grown children works in the family business in some capacity, and Dan and Joanne enjoy spending time with their six grandchildren.